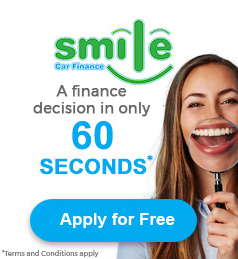 Searching for the best car finance deal can be daunting, but with Ron Skinner and Sons, it’s simple and fast. We are proud to offer our services throughout Wales and many parts of the UK, and we have helped a huge number of clients in Swansea to secure the perfect deal for them. Our friendly finance experts will work with you to understand your needs and guide you through your options, ensuring you are matched with the perfect agreement. Our Tredegar and Cardiff branches are both under an hour’s drive from Swansea and you will find a vast range of used cars and a friendly team waiting to help you. Our finance specialists are highly experienced and will be happy to provide any advice and support you need. If you are concerned about your credit rating letting you down, we will consider every application and have managed to help many individuals with bad credit secure car finance. Complete one our online application form and we will give you a decision within a minute! Once you have been approved, you will be one step closer to driving away your dream car. The current range of used cars at Ron Skinner and Sons can be found online or in our showrooms throughout Wales. For more information about our used cars and competitive car finance deals in Swansea, speak to our team of experts today!